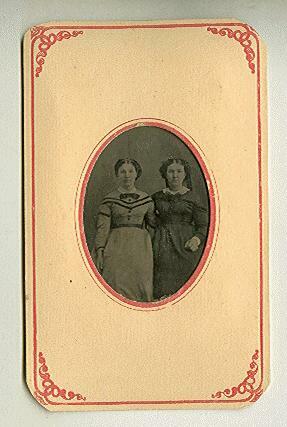 This is Tintype photo.Tintypes are printed on thin sheets of Iron(not tin).I dont know who these ladies are,But they got their photograph made in Leroy(Approx 1860s-1890s).This one measures 4" X 2 1/2" including the cardboard frame. . . . .